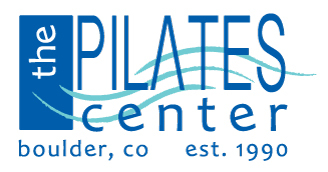 It was in discovering Pilates that Andi finally found the one true method that encompassed all the focused movement, development, and progression that all elite athletes required. She was instantly obsessed. She started her training in London England, which only fueled her passion further; and lead her to train at The Pilates Center in Boulder. Finally returning to her home in British Columbia, Andi now combines her Recreation Leadership education, coaching background, and Pilates Method Alliance certification to bring her passion for the Art of Pilates to the Sea to Sky area just North of Vancouver. Finally returning to her home in British Columbia, Andi now combines her Recreation Leadership education, coaching background, and Pilates Method Alliance certification to bring her passion for the Art of Pilates to the Greater Vancouver area. Alexandra comes from a professional ballet background with Ballet Pacifica in Southern California. She holds a BA in Psychology from Chapman University, and graduated from the Pilates Center in 2002, where she also completed the Masters Program in 2010. She and her husband Anthony, are proud owners of Coredination and Bonedale Ballet since 2004 where they teach ballet, Pilates and yoga for all ages.